*Terms of offer: Quantities are limited. Offer valid for registrations completed 06/01/2017 through 05/31/2018 (the “promotion period”) or while supplies last. Offer valid only in the U.S.A. for registration of models KSIB900ESS or KFID500ESS. 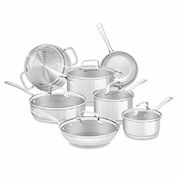 Free cookware set offer is limited to one redemption per household (two redemptions per household in Rhode Island only) during the promotional period. Product must be registered by one of the following methods: (a) call 1-800-422-1230, and select option 3 (“Service, Product Registration and other questions”), then select option 3 again (“Product Registration and other questions”), then follow the voice prompts to complete your registration; (b) visit https://register.kitchenaid.com and follow the online instructions to register your product; or (c) mail the registration card located in appliance on or before 05/31/2018 in order to be eligible. Mail-in registrations must be postmarked on or before 05/31/2018 in order to be eligible. Consumer will receive an eligible 10-piece tri-ply Cookware set KC2TS10ST valued at $624.99 by mail. 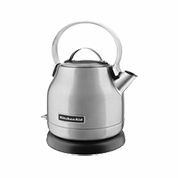 Whirlpool Corporation reserves the right to substitute for an alternate cookware set of equal or greater value. No substitutions by consumers are permitted. LATE SUBMISSIONS WILL NOT BE ACCEPTED. Offer is not transferable. Omission of any required information will delay processing or disqualify your request. All submissions become the property of Whirlpool Corporation and cannot be returned. Whirlpool Corporation and the retailers are not responsible for lost, late, illegible, incomplete, damaged or misdirected submissions or postage due requests/mail. Keep a copy for your files. Fraudulent submissions could result in federal prosecution under U.S. Mail Fraud Statutes (Title 18, United States Code, Sections 1341 and 1342). ALL CLAIMS SUBJECT TO AUDIT.